Ya ever notice how a stoplight “walk alert” sounds either like a bird chirping or it’s a person saying “please walk”? 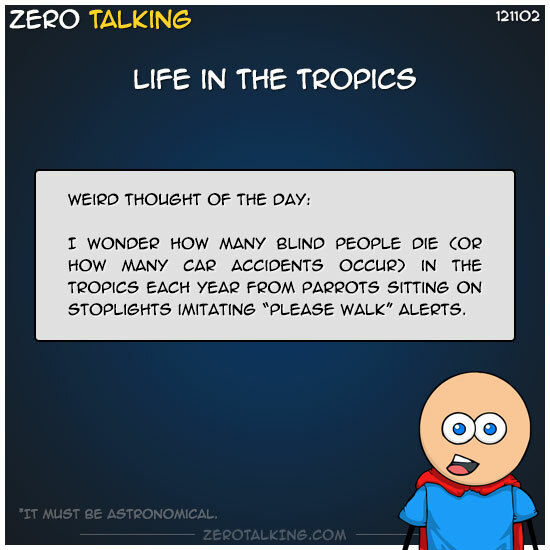 I wonder how many innocent blind people die — or how many car accidents occur — in the tropics each year from parrots imitating those alerts while sitting on stoplights. It has to be astronomical.